The list below organises the voluminous commentary and legal filings in the Miller litigation. It is designed to be one-stop-shop for locating relevant documents, helping to identify the key issues. It is also dynamic. Readers who have suggestions for other blogs or sources are welcome to suggest additions to r.j.craig@lse.ac.uk. The 500 word reaction pieces will also be added to the list. It is anticipated that this post will sit on the sidebar of the UKCLA blog during further debate on Miller for easy access for readers. Items listed with an “*” post-date the Supreme Court decision. Ana Bobic and Josephine van Zeben: Negotiating Brexit: Can the UK Have Its Cake and Eat It? Piet Eeckhout: The UK Decision to Withdraw from the EU: Parliament or Government? Richard Ekins: Can the Courts Block Brexit? *Christopher Forsyth: Miller: Was It a Draw? Sandra Fredman: The Least Dangerous Branch: Whose Role is it to Protect Parliamentary Sovereignty? *Oliver Garner: Conditional Primacy of EU Law: The United Kingdom Supreme Court’s Own “Solange (so long as)” Doctrine? *Sir Stephen Laws: Questioning Parliament in the Courts? Ronan McCrea: Can a Brexit Deal Provide a Clean Break with CJEU and EU Fundamental Rights Norms? *Paul Reid: Time to Give the Sewel Convention Some (Political) Bite? 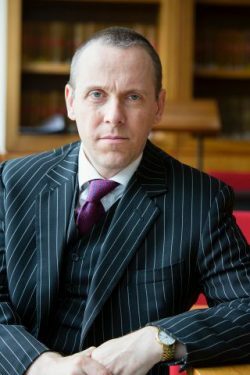 Simon Renton: An Unintended Consequence of Article 50? *Meg Russell: What Might Parliament Do with the Article 50 Bill? Charles Streeten: Putting the Toothpaste Back in the Tube: Can an Article 50 Notification Be Revoked? Stephen Tierney: Was the Brexit Referendum Democratic? Alison Young: Miller, Constitutional Adjudication – Reality over Legality? Alison Young: R (Miller) v The Secretary of State for Exiting the European Union – Substance over Form? *Alison Young: Miller: Maintaining the Delicate Divide between Law and Politics? Thank you very much for this Robert It is time consuming work to search for all the documents as you have done and good of you to share your work. This entry was posted on January 25, 2017 by Constitutional Law Group in Europe, European Union, Judicial review, UK government, UK Parliament and tagged Article 50 TEU, Brexit, Brexit judgment, Miller v Secretary of State for Exiting the European Union.